Hill ‘N Dale Club organizes half-day guided hunts for its hunting members on a daily basis from October to April. Ringneck Pheasant, Chukar Partridge, and Hungarian Partridge are currently hunted. All hunts have a trained hunt guide and club dog assigned to each hunting party. If you have a dog that you would like to hunt over, feel free to bring ’em out. In addition to our field hunts, Hill ‘N Dale Club holds a few European driven pheasant hunts every year. These shoots offer many challenging shots and are followed up with a walk-up field hunt. No matter the species, all of our birds are mature, flight-conditioned, trophy-quality birds. We buy the best to make sure you have a challenging, unpredictable, sporting, and satisfying hunt every time you visit. At the conclusion of every hunt, birds are dressed, packed, and ready to go when you leave the club. Last year the club released approximately 4,700 birds for our hunting and corporate members. Improvements, including the addition of some more hunting fields, have yielded additional cover that will enhance your hunting experience this fall. There is also a dedicated dog training area on the property. 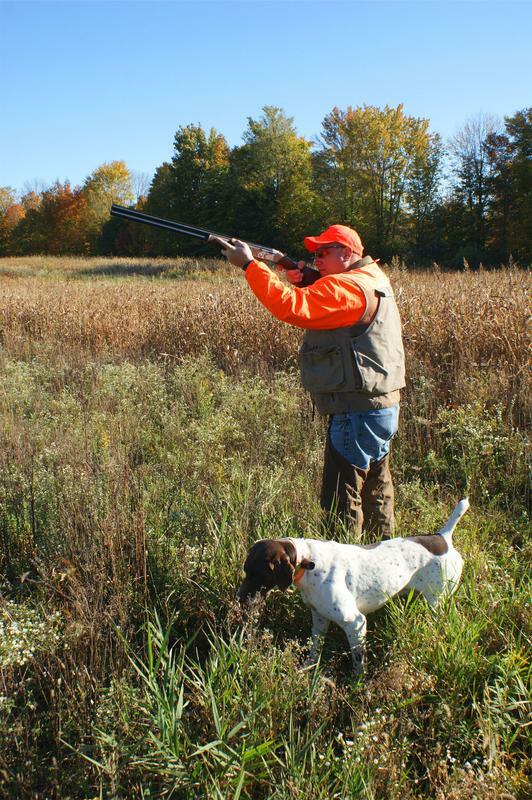 Members are able to release birds and utilize the club dog training tools if desired here. Hunting privileges are included in the hunting and corporate membership programs. For additional information, please visit membership information. Hill ‘N Dale Club has many lakes and pools which will lure both the beginner fisherman and the avid angler to their banks. Our lakes, ponds, and pools are brimming with bass, trout, perch, bluegill, crappie, and catfish. 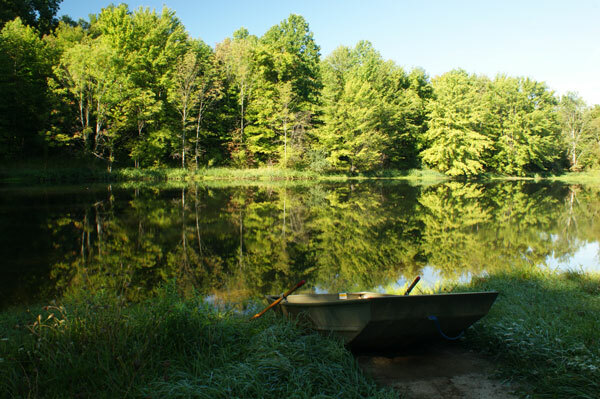 Each lake and trout pool is easily accessible by maintained roads. Rowboats are provided at selected lakes for the convenience of members. All the lakes at Hill ‘N Dale Club receive special care and maintenance throughout the year. Quite a few of the lakes and ponds are spring fed. There are three trout pools, which are located in a pristine valley where the trout enjoy the cool water. We have bait available as you check-in before fishing on the grounds. All catches are monitored to maintain a healthy population of fish for the future. A fishing License is not required. However, we would like you to purchase one in support of O.D.N.R. All fish to be kept must be weighed before cleaning and entered in the registration book located in the barn. Registration, bait, weighing scales and fish cleaning area are located in the barn. 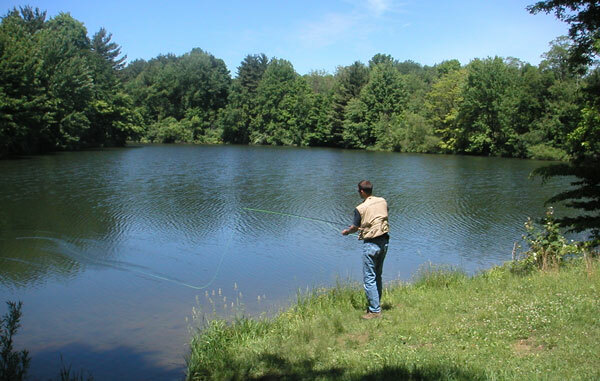 Fishing is permitted in all lakes and trout pools except the swimming lake and lakes on the clay course. “Catch and Release Only” ponds and lakes are clearly marked. Trotlines and setlines are not permitted. Fishing privileges are included in the hunting, general and corporate membership programs. For additional information, please visit membership information.